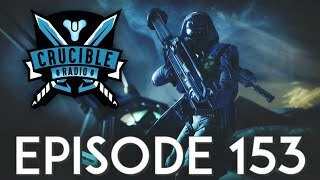 This week, Crucible Radio is joined by Josh Hamrick, Jon Weisnewski, and Kevin Yanes – Bungie developers and Crucible architects. When the team stops by, our goal is always to learn more – and there’s a lot to learn on this one. 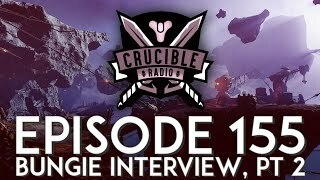 In part 1 of our huge interview with the devs, we ask about balance, sandbox, ranked playlists, radar, time to kill and more – with even more to come next week! Enjoy & scroll down for clips.